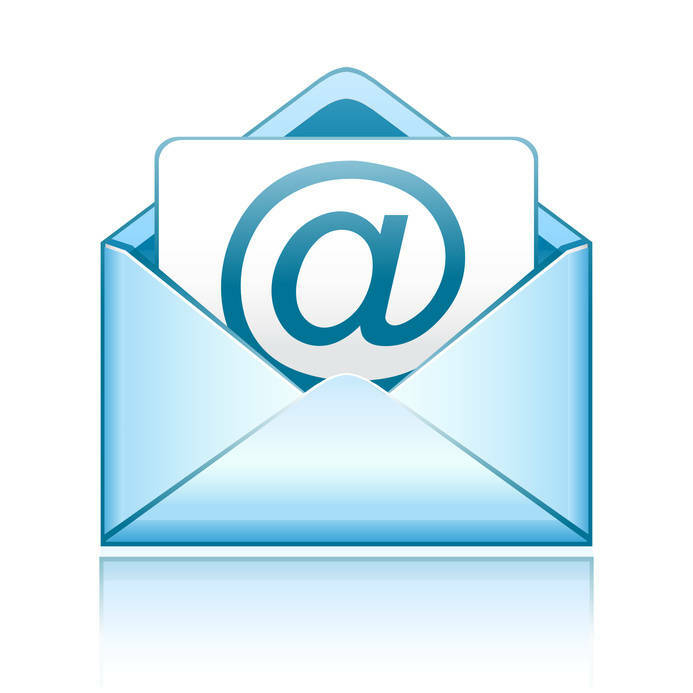 Today is a somber post. 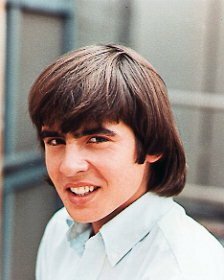 I was saddened to find out that Davey Jones, formerly of The Monkees, passed away today of a heart attack. Originally The Monkees were created to build on the popularity of the Beetles in the mid-60s. NBC milked the cash cow for a few years before canceling the television show and the band broke up shortly after that. What brought the Monkees back in to Pop Culture was MTV attempting to bring in an older crowd during their first couple of years when they re-introduced the band in the early-80s and ran marathons of the Monkees show. It ignited a wave of nostalgia and the group got back together in 1986 and even released a new album. The Monkees re-united from time to time, minus Michael Nesmith, to tour even as late as September 2011. 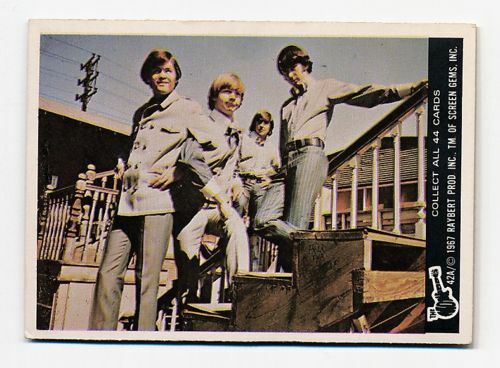 When it comes to the collecting world the Monkees were partially represented with both Peter Tork and Mickey Dolenz having been included in recent card sets, most recently in Leaf’s Pop Century and Panini’s Americana, while Davey Jones and Michael Nesmith have only been included in one set, a 1967 Donruss Monkees set based on the television show. 2012 Leaf Oval Office has now been released and singles are starting to show up for sale. Most boxes are selling around $1,500-1,600 and the final print number is 261 boxes produced (Though the boxes are marked #/276 for some reason). The checklist includes the 43 Presidents plus 54 multi-cuts and every card is limited to #/5 or less. 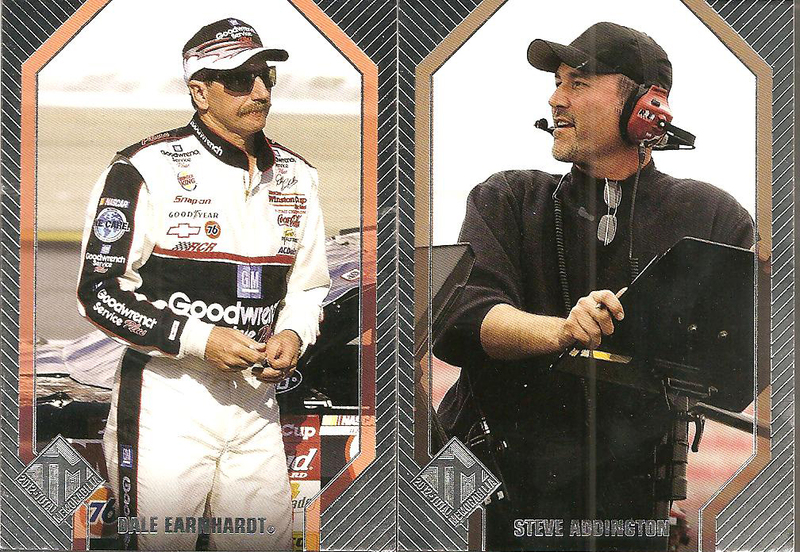 These are actually some nice looking card, though well outside of my range, with a small image of the President/Distinguished Person in the upper left corner and a nice large cut placed squarely in the center of the card. The Presidents single cuts are red cards while the dual cuts are blue. I know some people have negative feelings towards including people like Hitler, Hussein and Castro (See Famous Fabrics Horrors of War autographs) in an autograph set but no matter how we feel they are part of our country's history and each has a connection with the Presidents. I have to admit I am a bit surprised to see the Ford/Moore cut signatures considering that she attempted to assassinate Ford. NASCAR’s premier event, the racing season’s kick-off race Daytona 500 was delayed Sunday due to rain, NASCAR officials decided to switch to a race under the lights this evening. I used to be a racing fan, and from time to time I still get the bug so I figured to celebrate the race I would open some packs of Press Pass’ 2012 Total Memorabilia. This product is an upper-middle range product with boxes running around $110-125 each. I picked up a couple of retail packs for $20 each, which contains 5 cards including a hit (Hobby packs run $5-10 more and contain 9 cards). 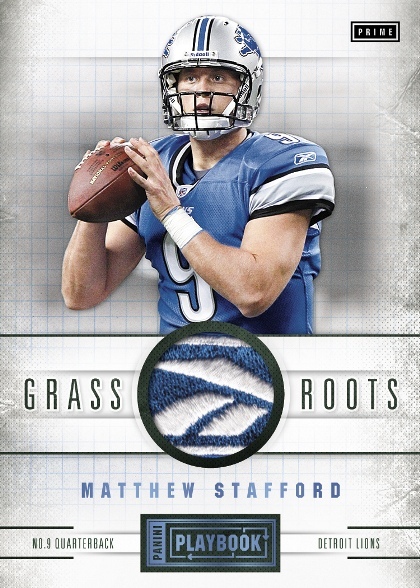 Each retail pack contains a base card, a red parallel, a Rising Star insert, a Memory Lane insert and a hit. 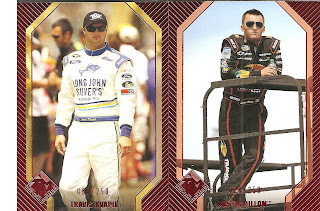 The base set consists of 50 cards and includes 33 Sprint Cup Series drivers, 2 Nationwide Series drivers, 1 Camping World Truck Series driver, 3 Legends, 6 Owners and 5 Crew Chiefs. 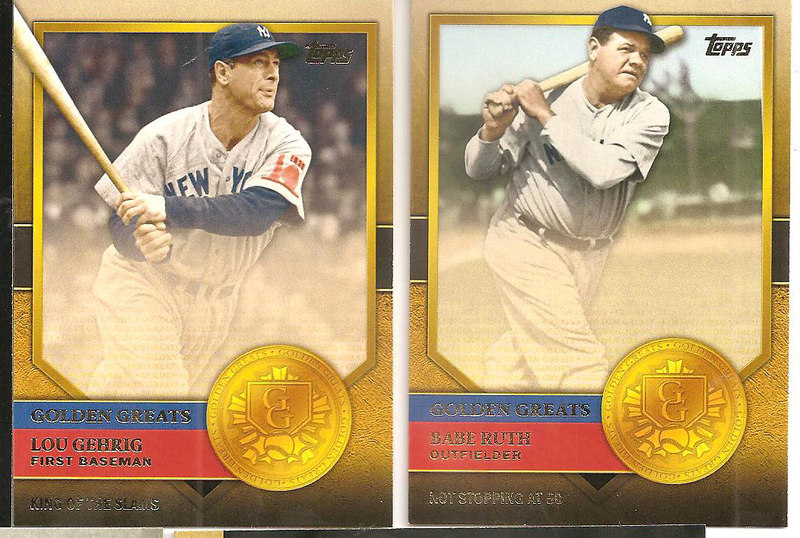 There are also Gold (Not #), Black/White (#/99) and Red (#/250- Retail) parallels. Additionally there are 11 base card variations plus a #0 card. 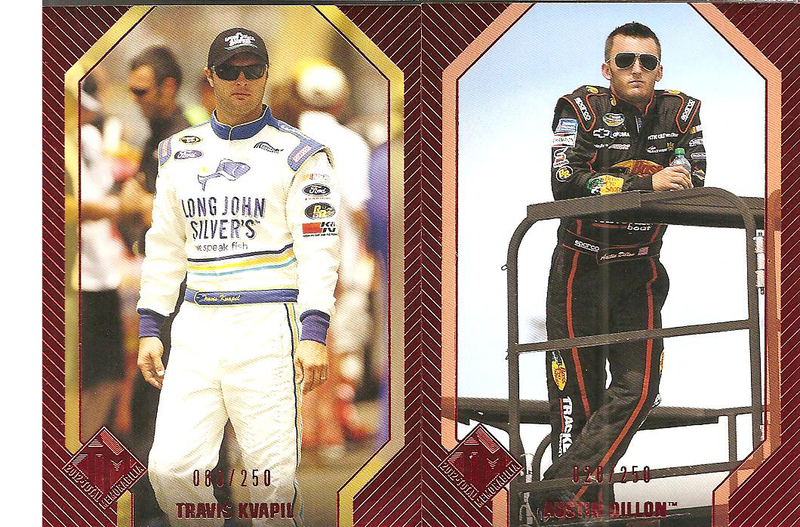 The back of the cards contain a quote and lifetime stats for drivers. The inserts are Memory Lane which shows 1 of 9 drivers as a child and the back explains how the driver made their way in to driving. 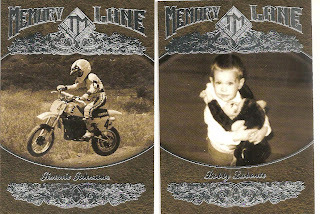 I pulled Jimmie Johnson (Who started racing at 4 years old) and Bobby Lanonte (A couple of years old) Memory Lane. 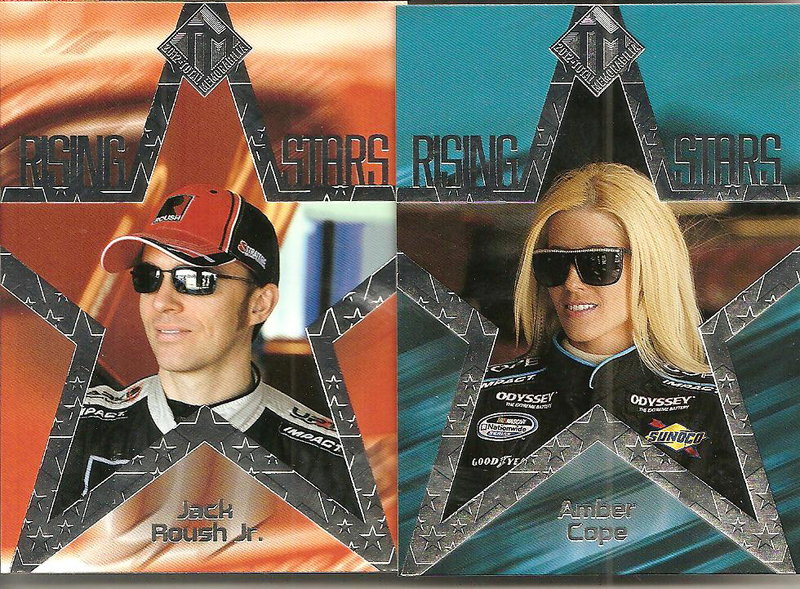 Rising Stars introduces us to 8 up and coming drivers including Maryeve Dufault and the Cope Sisters. The back of the card contains a write up about the driver. The hits are broken down in to 56 Memorabilia cards, 8 Autograph/Memorabilia cards and 16 Booklet cards. Many of the memorabilia cards contain multiple relics or jumbo relics, hits in the retail packs are usually the single relic cards. 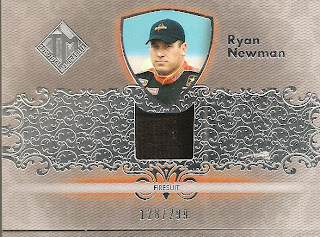 I pulled a Ryan Newman Fire Suit relic #/299 and a Mark Martin Tire relic #/99. The cool thing about the Martin relic is that the swatch is from the side of the tire and contains numerous ridges and patterns. Many of the tire cards that I have come across are from the tread area and are smooth from wear. 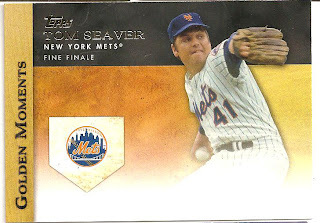 Back in December while wondering aloud as to why so many people seem to be so excited over 2011 Topps American Pie I closed out my post with the idea that I may pick up a blaster box to get a closer look at the product. Two month later I finally followed through with it and picked up a blaster today and as I sit here watching Paul (still hilarious after watching it 4 or 5 times) I ripped open the packs and can say my initial feelings for the product still stand. Stick to picking up the singles that you want and ignore the rest. 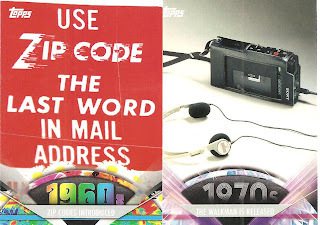 Admittedly some of the cards do have appeal and I do like that the cards all include a write up on the back of the card. Seeing a couple icons like Orwell, Lennon and Cobain put a smile on my face. 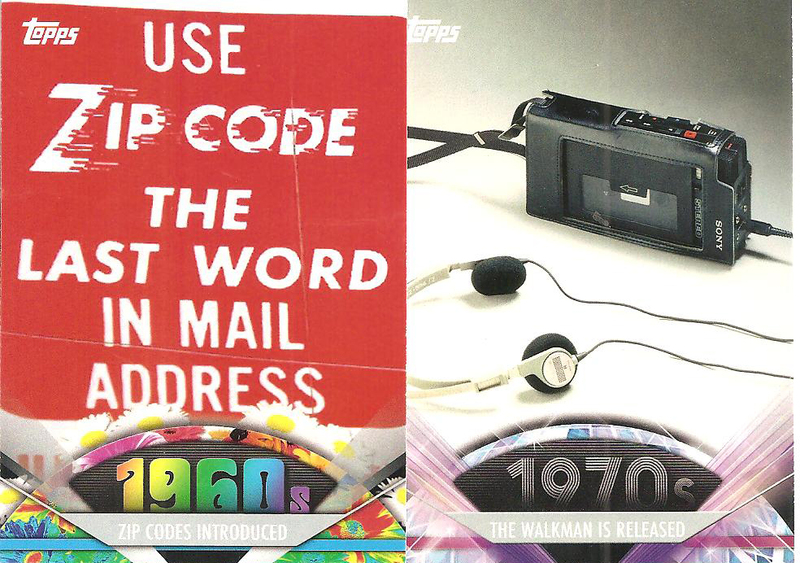 While others are just dismal, I understand certain points in American history are important but does Zip Codes, Sony Walkman and New Coke really have a place on a card? 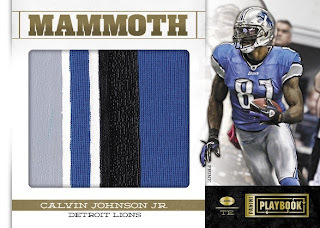 As expected every pack included a parallel or insert. 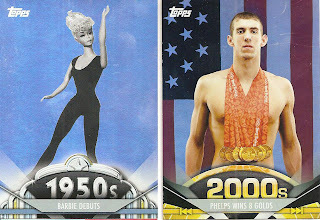 I pulled two foil parallels- Barbie and Michael Phelps. 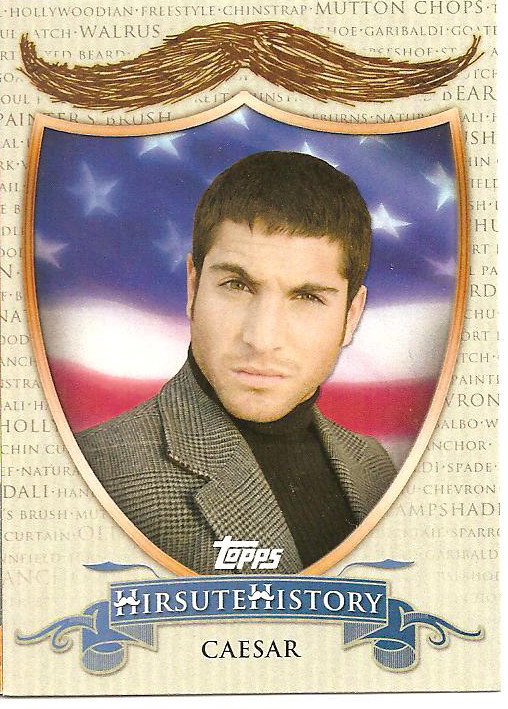 A Hirsute History card with a douchebag looking at me like I just deleted the newest episode of Jersey Shores off of his DVR. I find it sad that Topps even states on the back of the card that the hair style made famous by Julius Caesar and more recently by George Clooney would use a picture of this guy instead of either Caesar or Clooney. The only insert that I actually like is the Hollywood Walk of Fame. Pulling Marilyn Monroe, Buster Keaton and Houdini sealed the deal as my favorite insert by far. 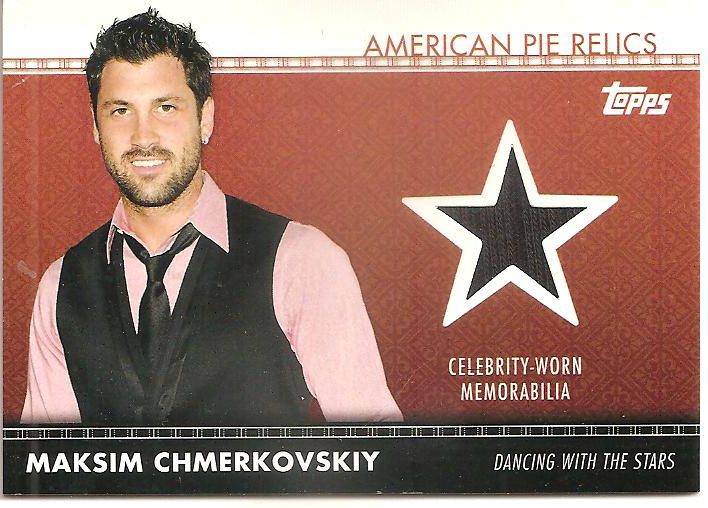 I was surprised by pulling an American Pie Relic, Maksim Chmerkovskiy. 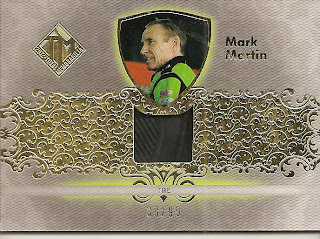 I have never seen Dancing With The Stars so I had no idea who he was without reading the back but it says that he was most recently paired with Hope Solo, whom I would have much rather have pulled as a relic. Leaf Best of Basketball Another Lightning Rod For Leaf? 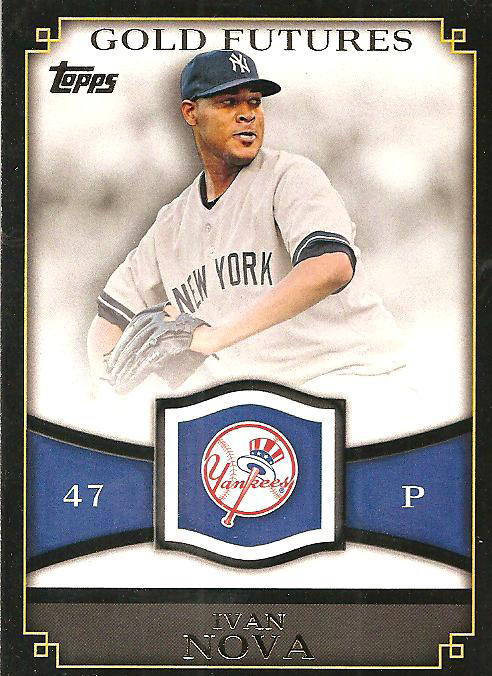 Last summer Leaf released 2011 Leaf Best of Baseball which caught a lot of attention, including Topps’ lawyers who filed an injunction to stop the sale of the product due to Topps products being included as buyback cards. 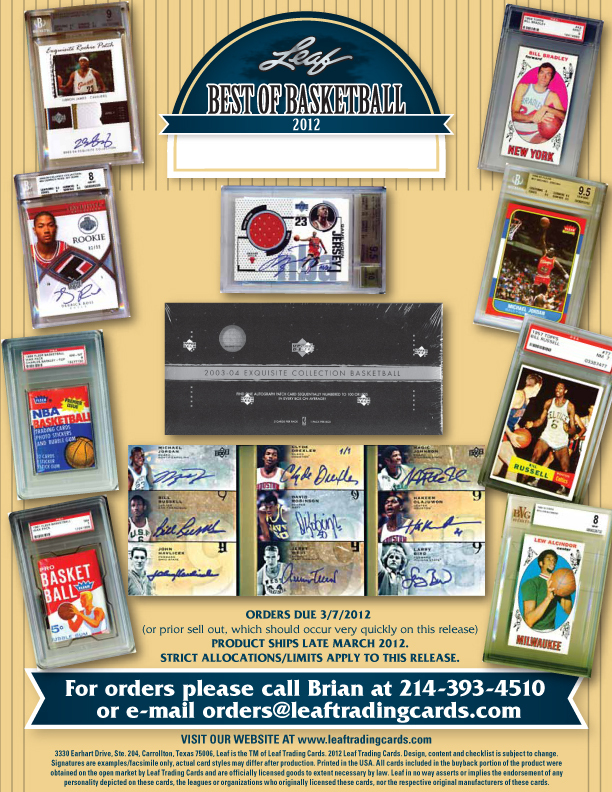 Apparently this did not scare off Brian Gray because Leaf is set to release 2012 Lead Best of Basketball, which again will include Topps, Fleer and Upper Deck cards as part of a buyback program. 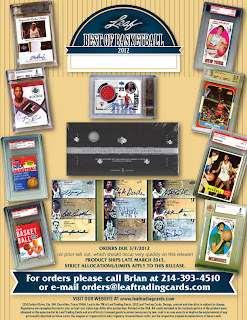 The set is scheduled to be released March 28, 2012 and each box will include 2 cards and will sell around $200 each. 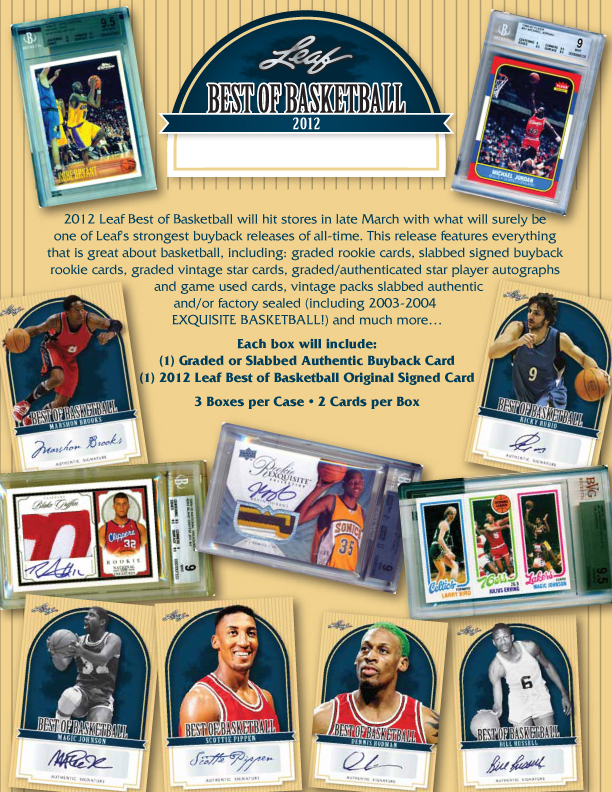 There will be one slabbed or graded buyback card and one Leaf Best of Basketball signed card. 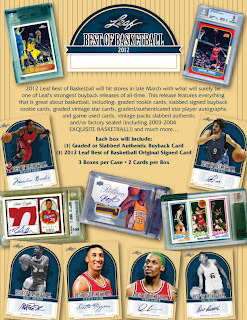 The Best of Basketball autograph checklist includes Ricky Rubio, Magic, Scottie Pippen, Bill Russell and Dennis Rodman. 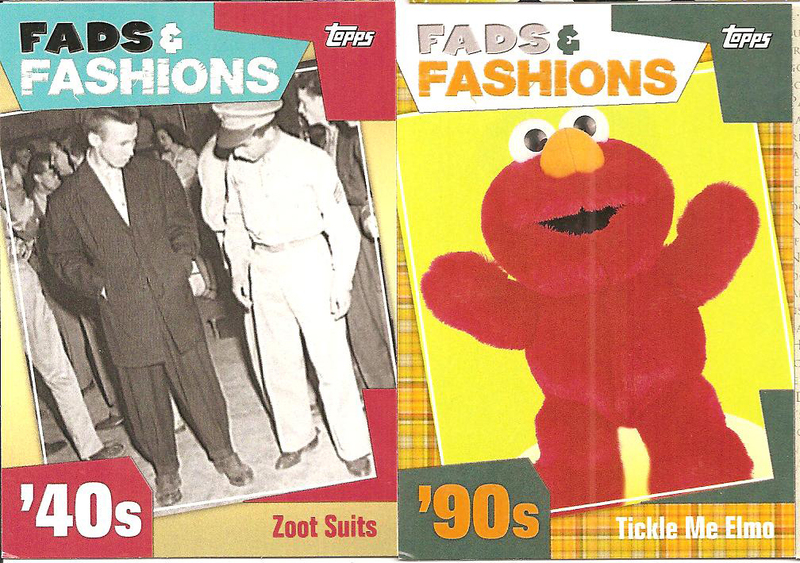 Another cool thing is that there will be unopened vintage packs and even boxes that will be included in random boxes. In April 2011 Rittenhouse Archives released a high-end set based on the Starz hit show Spartacus: Blood and Sand. A box ran $750 and contained 15 packs which gave you 30 autographs (2 autos/pack) and a whole slew of inserts. The product sold pretty well, eventually selling out. Prices for most autographs ran in the $75-150 range with Andy Whitfield (Spartacus) on the upper end of that range. Unfortunately he lost his battle with cancer last September and now Whitfield’s autographs are running around $250-300 each. 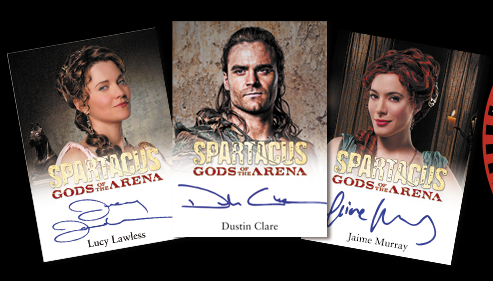 Fast forward a year and Rittenhouse will be following up that release with another Spartacus set, this time it will include both Blood and Sand and the prequel Gods of the Arena. Boxes will run $750 and contain 15 packs, though I have seen some pre-sells around $600 for a box. Each 9-card Premium pack contains 2 autographs, 2 Gods of the Arena episode cards, 1 Gladiator action card, 1 Battle for Freedom card, 1 Vengeance preview card (Vengeance is Season 2 of Spartacus), 1 Women of Spartacus and 1 Spartacus Gold Plaque card. 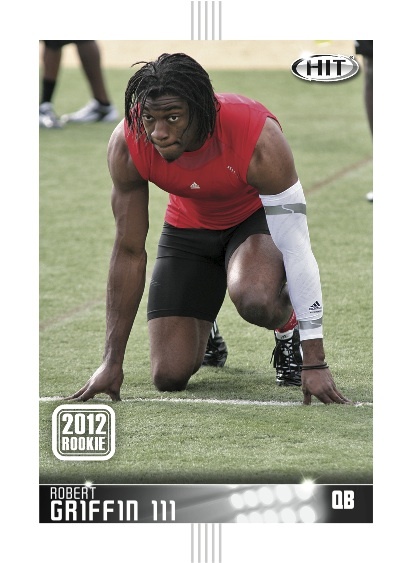 Some dealers sell packs individually so you can find Premium packs in the $35-50 range. This year they will be including a box topper as well as multi-box incentives. Last month in honor of the Super Bowl I posted up my 2003 Donruss Elite Throwback Threads Jim Thorpe card for the Vintage Card of the Month. 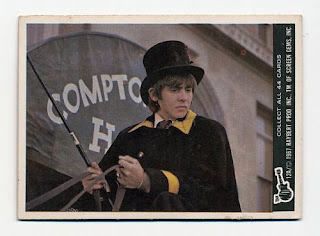 This month I am taking the same route but with Spring Training starting I am going to post up my Thorpe baseball card. 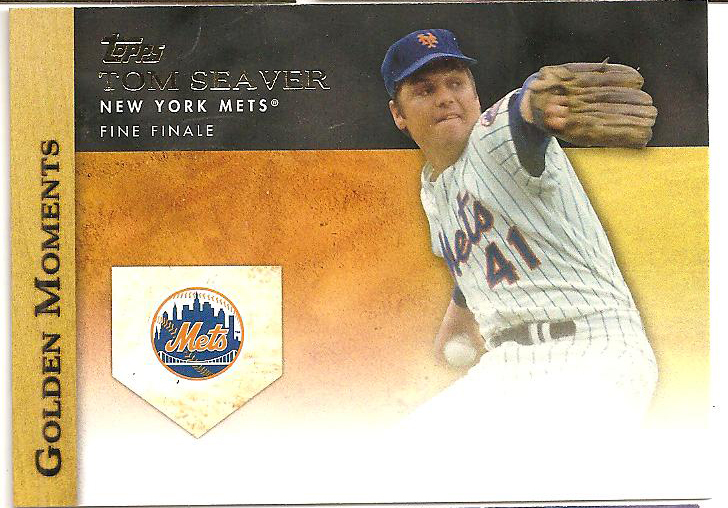 The card is from the 2005 Playoff Absolute Memorabilia Tools of the Trade set and is numbered #111/150. 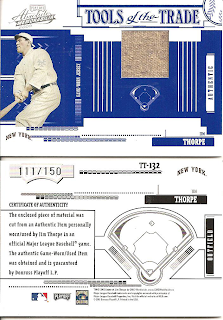 Jim Thorpe played 6 seasons of pro baseball between 1913 and 1919 spending most of his time with the NY Giants and actually making it to the 1913 World Series. He ended with a .252 BA with 7 HR and 82 RBIs and 122 Strike Outs. The card back states that the relic was cut from an item (item?) 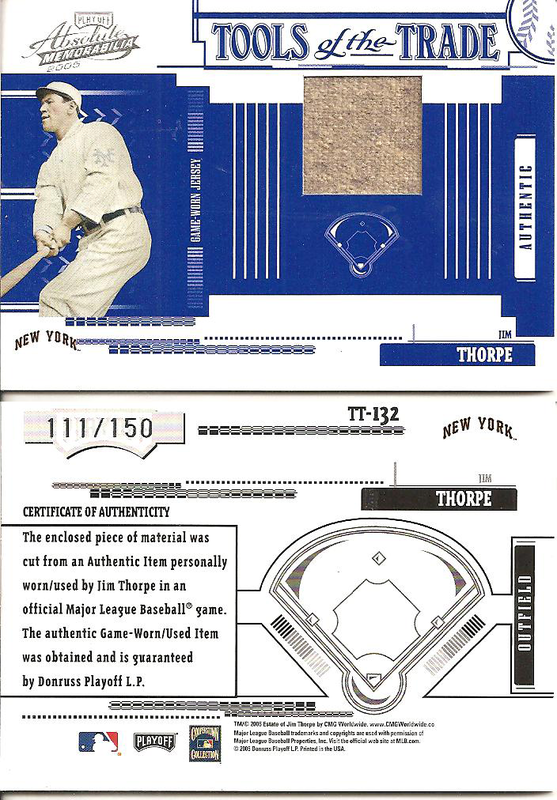 worn by Jim Thorpe in an official MLB game. I really miss the Donruss sets from the early 2000s; they put out some pretty cool relic cards. 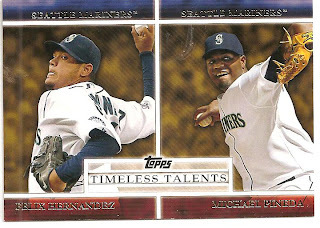 Three blasters in to the 2012 Topps Baseball and I figured it was time to review the product. 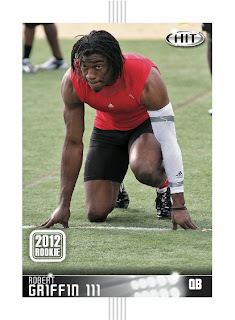 Most have seen the base cards; they are pretty standard with a nice player action shot and the player’s name. Some people are not big on the use of the team logo and would prefer to see the team name added as text; personally I don’t feel either way. I think with this design the logo works well. I pulled only 2 Mariners, both young players who are not expected to be serious prospects but they will put in some time in the Bigs. 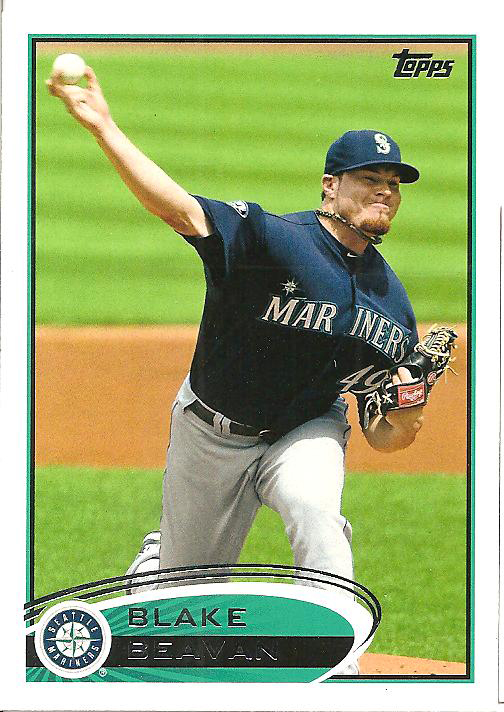 Beavan played 15 games in the Majors last season going 5-6 with a 4.27 ERA but it is possible that he may be worked in to the 4 or 5 spot in the rotation in 2012. 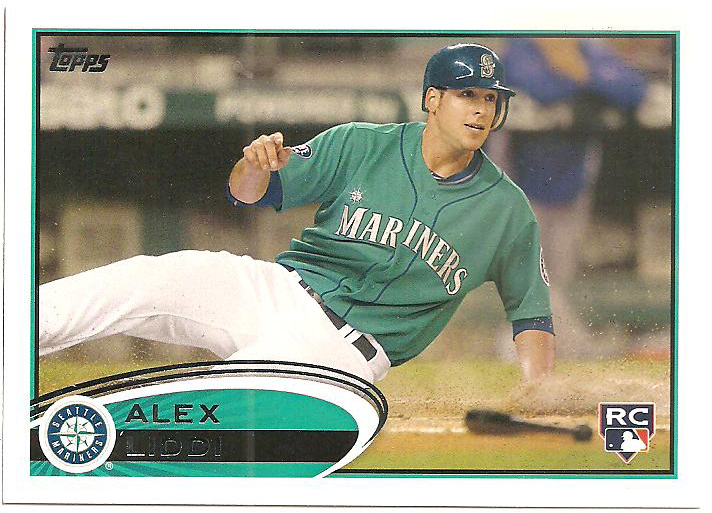 Alex Liddi on the other hand will most likely spend most of the season in Tacoma working on his hitting. He can hit, his 30 HR and 104 RBIs show that, but his 170 SO in 559 ABs last season show he is still trying to figure out pitches. 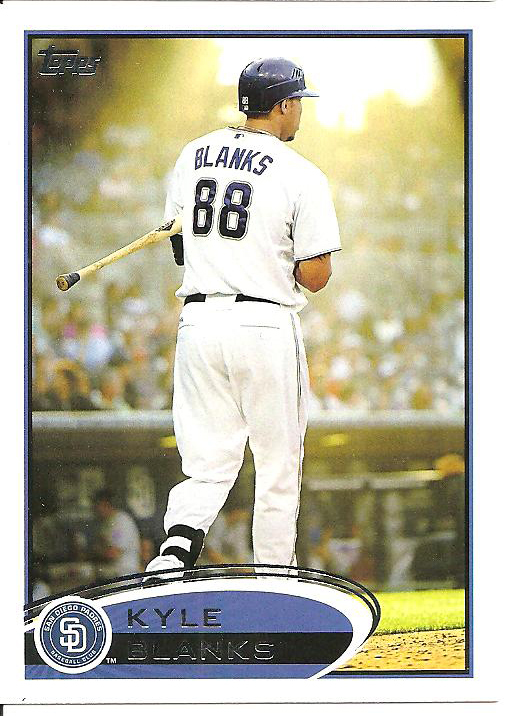 One card that caught my eye was Kyle Blanks; his card reminds me of those tribute cards you see from time to time after a superstar retires like Nolan Ryan or Cal Ripken Jr. Though I don’t expect to ever see a Blanks tribute card, not unless he can summon the ghost of his time in Tucson (.351 BA, 35 RBI and 11 HR in 35 games). Being Topps the parallels and inserts are plentiful. We are talking an overload of parallels/SPs. SPs: Rally squirrel, Gatorade, Mascots, Pie in Face, Dugout and New Uniforms. Parallels: Golden Moments, Black, Wood, Printing Plates, Platinum, Target Red, Wal-Mart Blue, Toys R Us Purple and Silk. The 1987 Mini set seems to get some love from collectors, personally I think Topps is trying to force heritage-style sets in to every set and between the overloaded amount of parallels and inserts is just bloating the product. 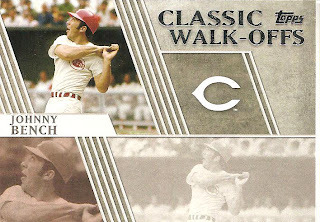 Classic Walk-offs, a set based on some of the most important/famous walk-off homeruns. My pulls include Johnny Bench, Magglio Ordonez and David Ortiz. 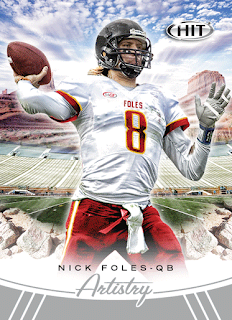 Gold Futures is a set focusing on up and coming players. I got Jeremy Hellickson, JP Arencibia, Ryan Lavarnway and Ivan Nova. Golden Greats is all about the greatest. 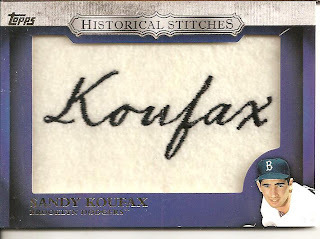 Lou Gehrig and Babe Ruth top my list but I also pulled Mays, Clemente, Koufax and 2 different Pujols. Golden Moments covers some of the more famous golden moments. 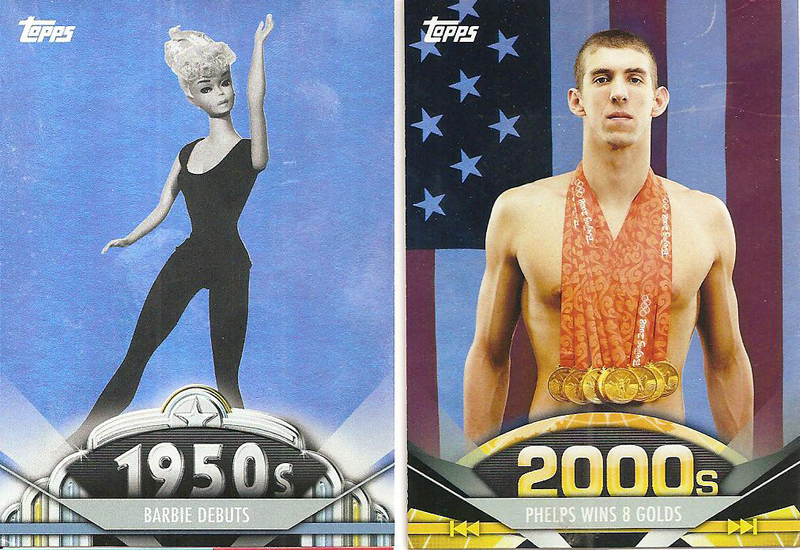 Like the Golden Greats the back of the Moments insert covers a specific moment. 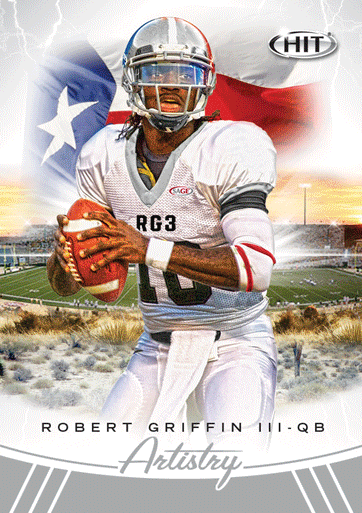 Gold Standard is a set about the players that set the standards that players are measured on now. Like Stan Musial’s 3,000 Hit Club, Bob Gibson’s 3,000 K Club and Willie Mays 600 Home Runs. Timeless Tales matches HOF/Superstars along with an up and comer. Some of mine include Andre Dawson and Justin Upton and Felix Hernandez and Michael Pineda. Even though Pineda has moved on to the Yankees I still love this card. Blasters include a bonus Manu-patch, either a Retired Number or Historical Stitches. The Retired Number is a retired player’s number and Historical Stitches is the player’s autograph stitched in to wool (I love this set). 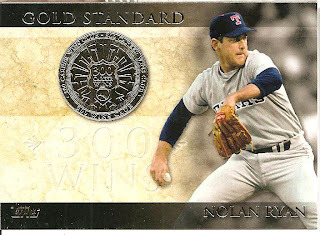 My Nolan Ryan Retired Numbers actually had some bleed through where the glue and the blue stitching touched causing the color to bleed and stain the “jersey” material. The Rice card has similar damage, I am guessing that the stitching was never checked to see if the color ran or bled when wet. Most collectors are familiar with SAGE Collectibles, a micro-printer that has been around for well over a decade and is known for their unlicensed college football sets (HIT, SAGE and Aspire) as well as their run of unlicensed college basketball sets through 2005. 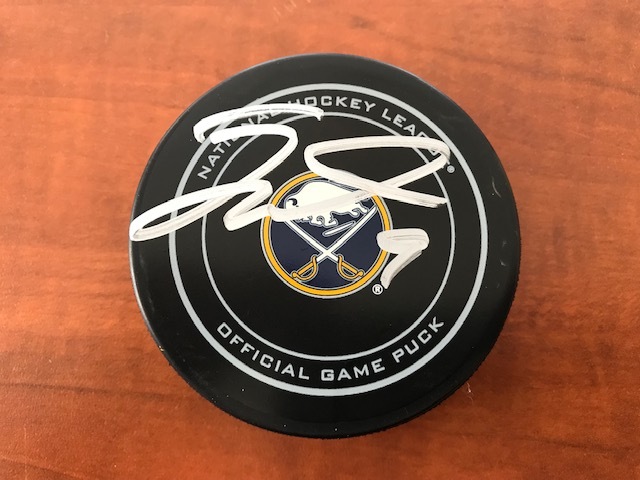 Quite often SAGE loads their products with autographs, even their blaster boxes will come with an autograph or two, but due to the simplified designs and no college or pro affiliation collectors will often by-pass their products and wait for licensed autographs to hit the shelves. 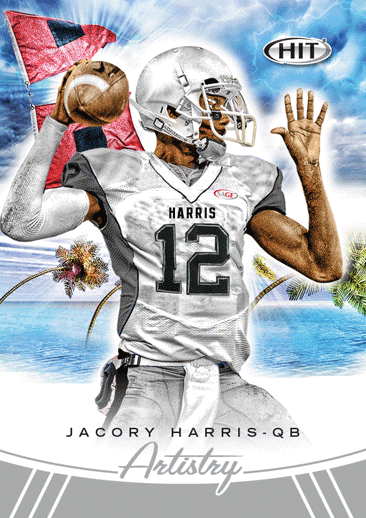 In the upcoming HIT 2012 Low Series, which should be released in March 2012 (even though their web site still says January 27, 2012), SAGE designers have finally hit on a pretty cool design with the Artistry insert. 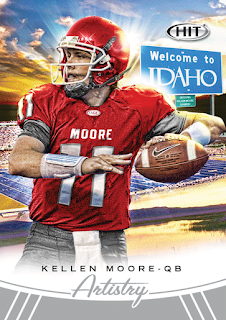 I would love to see this insert in a licensed product. 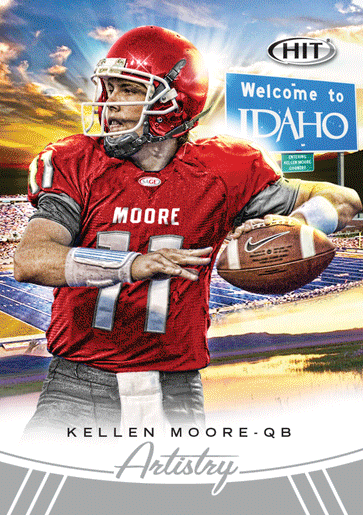 The cards are “artistic” and display an action shot of the player in a generic uniform color over their home stadium in the background. 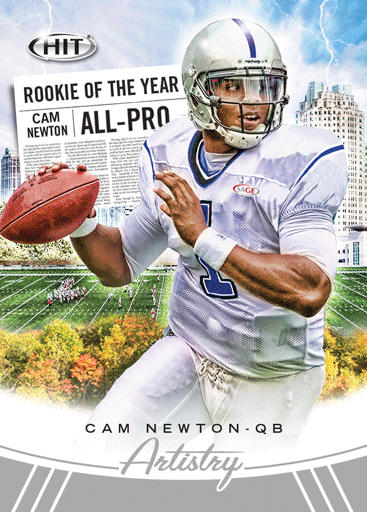 Some cards include a city skyline, flag, newspaper (displaying a headline) or related imagery. I do not plan on picking up any boxes or packs but I will definitely be hunting for a Nick Foles Artistry card. 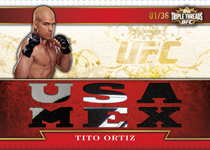 Topps has finally released updated information about a couple of upcoming UFC sets, the 2012 UFC Knockout and 2012 UFC Finest. Knockout will be first, and after a few delays, it should hit shelves by March 21, 2012 (Finest is scheduled for the summer) and the price will be lower than initially announced and should come in around $140 for each 8 pack box. 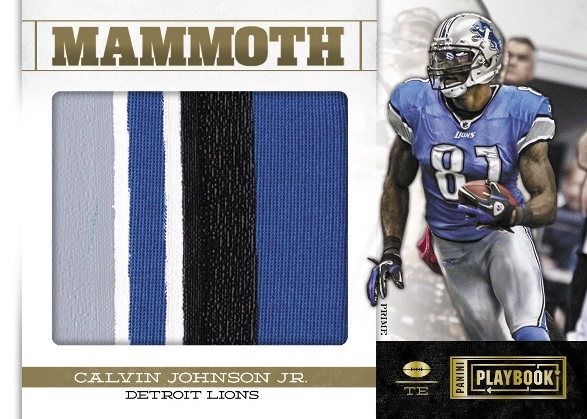 Each pack will include 5 cards- 3 base cards, 1 base gold parallel and a hit. 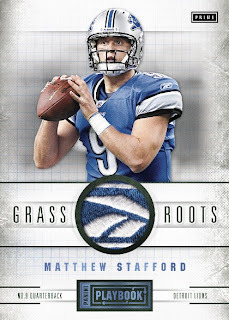 The box break will still be the same with one slight change, there will be 8 parallels per box instead of 5 parallels. 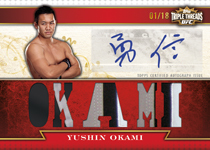 Additionally one of the most notable inserts, the box-topper Fist-ograph autographs, will be #/10 instead of the originally announced #/5. 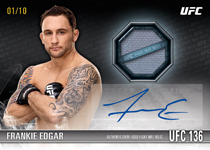 Brian Stann, Chael Sonnen, Frankie Edgar, Tyron Woodley, Jake Ellenberger and Meisha Tate are all included on the Fist-ograph checklist. Is Panini Playbook Worth It? 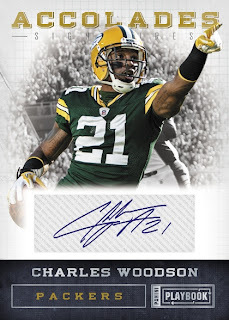 Some of the highlights include the Chronicle Signature Booklets, which contain up to 8 autographs and are numbered to #/10 or less, and Playbook Materials Booklets, which contain up to 8 game-worn relics and are numbered to #/49 or less. 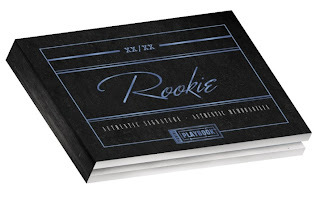 Some of these relics look amazing like the rookie booklets and Mammoth patches but both the Rookie Autographs and Accolades Signatures are sticker autograph cards (the Rookie Premiere Booklets are on-card though) and dime-sized relics in the memorabilia cards makes this product a lottery. Panini states that each 10 pack/box case will include one Playbook Material booklet card and three “Top-Tier” Rookie Booklet cards but is it worth it or just wait and buy the singles later? 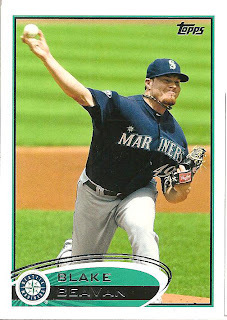 Are The 2011 Topps Value Boxes Really Loaded?